Thomas Jefferson’s Monticello is located just outside Charlottesville, Virginia. 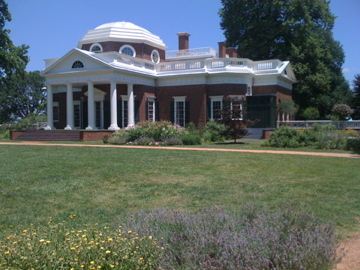 Monticello’s mansion house is located on top of a hill which overlooks the surrounding estate gardens and local valleys. Jefferson, our third United States president, was quite the gardener. 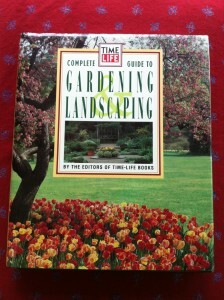 He believed that the surrounding property should provide sustinence for the home’s inhabitants as well as the staff. Monticello’s gardens have been emulated by many estate gardeners over the years. 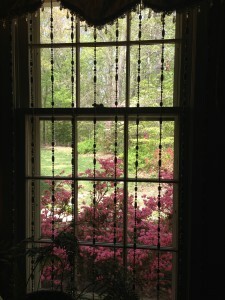 Monticello is definitely a destination garden. Plan a whole day to visit Monticello. See Jefferson’s vegetable and herb gardens. Walk directly along the rows of cabbages, potatoes, and herbs. Admire the flower beds that are planted along the mansion’s foundation. Walk along the expansive lawn’s flower garden path to view the lovely flowering perennials that grace the borders. View the inside of the house and its period contents through the general tour. See Jefferson’s wine cellar, his lovely breakfast room, and his bedroom among other rooms. A special tour is now offered for visitors to view the top levels of the mansion. The self-sustaining property even has its own cemetery. Charlottesville and its surrounding communities offer a wealth of attractions. Visit the lovely grounds of the University of Virginia, a Thomas Jefferson-founded learning institution, which has its own gardens in the East and West Pavilions. Explore James Madison’s Montpelier, James Monroe’s Ash-Lawn Highland and historic Michie Tavern which are all located nearby. Fine dining as well as more casual restaurant experiences are available across the area. Spend an afternoon shopping at the fine stores in downtown Charlottesville’s outdoor Mall. Either Richmond, VA or Washington, DC airports are within a few hours travel by car. Charlottesville airport is a smaller regional airport with regional jet service.